Applicable States/UTs : Delhi & NCR, Haryana, Punjab, Chandigarh, Himachal Pradesh, Jammu & Kashmir, Rajasthan, Jharkhand, Madhya Pradesh, Maharashtra, Odisha, Tripura, Uttar Pradesh, Gujarat, Uttrakhand, West Bengal, Assam, Bihar, Chhattisgarh, Dadra & Nagar Haveli and Daman. The contest is known as “Sone Pe Suhaga” Offer. It is organised by Muthoot Finance. Coverage of the contest is across Pan India, at Delhi & NCR, Haryana, Punjab, Chandigarh, Himachal Pradesh, Jammu & Kashmir, Rajasthan, Jharkhand, Madhya Pradesh, Maharashtra, Odisha, Tripura, Uttar Pradesh, Gujarat, Uttrakhand, West Bengal, Assam, Bihar, Chhattisgarh, Dadra & Nagar Haveli and Daman. ** Further, for being eligible to participate in the contest, the minimum Loan Amount availed by a customer (except renewal of loans), should be Rs. 40,000/- and the loan account not to be closed/active for a minimum period of 30 days. The period of the contest shall be One Month, from 1st March, 2019 to 31st March, 2019, extendable at the sole discretion of the Company. 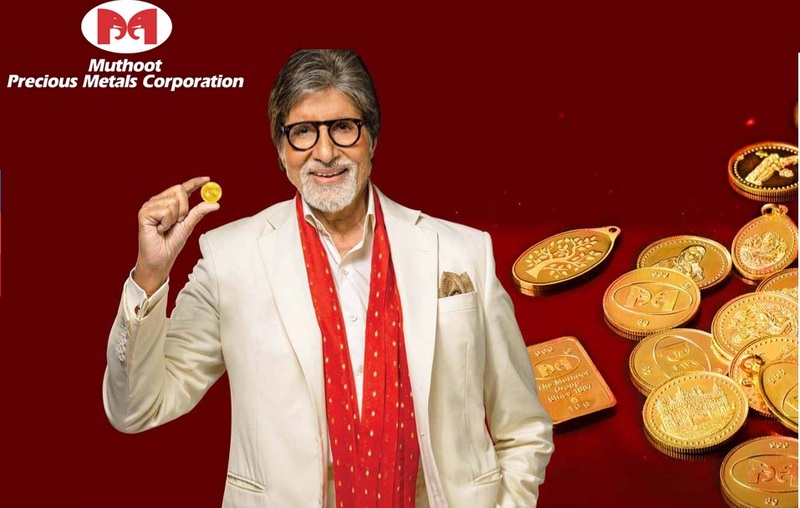 Avail Gold Loan from 1st March, 2019 to 31st March, 2019 and get a chance to win 5 Gold Coins (24 carat, with 999 purity) of 5 gram each as bumper prize every day. The Lucky Draw for the eligible entries, shall be conducted in the first week of May, 2019. All the eligible winners shall be selected through the Lucky draw (except for Sundays, Gazette, State & other Holidays). The Company reserves the rights to conduct such Lucky Draw, in the manner and mode, as it may deem fit and appropriate. The Winners, will be declared during the second week of May, 2019. Each winner shall be entitled for a Gold Coin weighing 5 Grams (24 carat, with 999 purity). The prizes are subject to change as per the sole discretion of the Company. The winners shall be intimated by SMS or call on the registered mobile number or any other mode as may be decided by the Company, at its sole discretion. ** The interest rate of 1% per month, is presently applicable for the MOL and MHP schemes of the Company. The Company is, within its absolute rights and discretion, to change, alter, withdraw and/or revise such interest rate, at any point of time. ** The terms and conditions are governed in accordance with the laws of India. Any dispute shall be subject to the jurisdiction of competent courts at New Delhi.